The year has gone by so quickly (like almost every other year, ironically). We thought it would be time to take a breather and thus decided to take a walk in the park to relax our minds & appreciate nature. 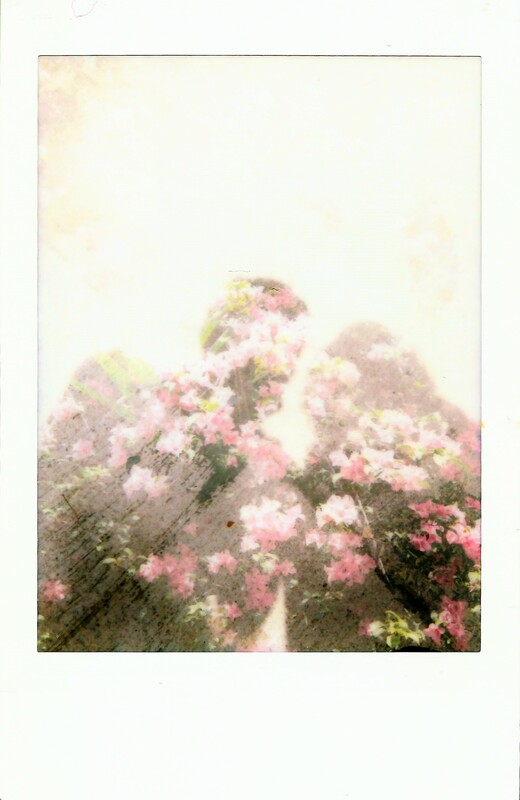 The theme of today’s post is the multiple exposure function on the Fujifilm’s instax mini 90 NEO CLASSIC and Lomography’s kickstarter project: the Lomo’Instant Camera. We have always been quite intrigued with multiple exposures. Quite simply, it involves layering two (or more) different images into one. The result often amazes us, but also confounds us; much of the time the outcomes are unpredictable, adding a sense of mystery and anticipation about how each photo will turn out. As a result, multiple exposure is easy to play with, but difficult to master. 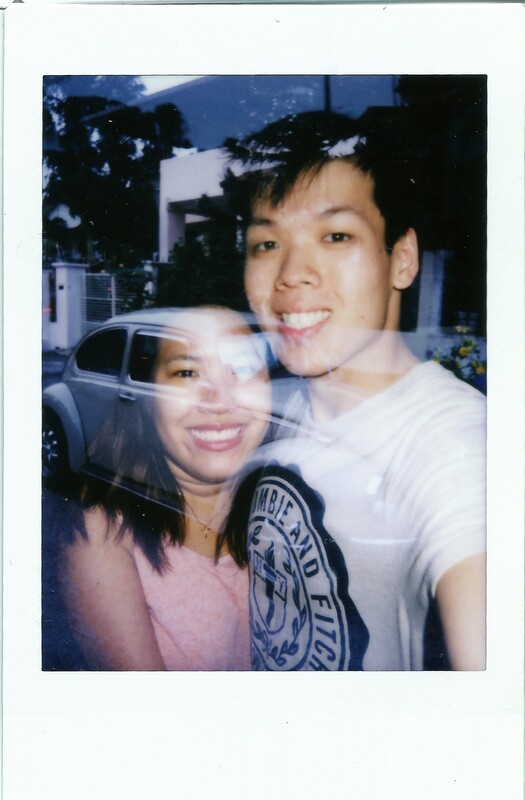 Some of our instant films turned out too dark, overexposed, or just simply not the way we imagined in our minds! We are still working on trying to be creative by playing around with the image object, as well as the shadows, and the overlaying image(s). It was indeed quite challenging; nevertheless, we are often pleased with the outcomes (expected or otherwise)! If it was not already obvious (from our previous entries), we loveeeeeeeeeee taking photos of plants and nature. Some of the photos below often involve layering two different photos of flowers/plants, so as to create a ‘flower on flower’ effect. Not many people are fond of this style of imagery- we admit, it looks cluttered. But we just can’t emphasis enough how fascinated we are by the effect of the multiple exposure function! It was a sunny day when we took these photos, hence the perfect time to take advantage of the sunlight and the contrasting shadows. The photos below (taken at different times of the day) consist of different subjects; nature, us, or a combination of both. What we have selected are our favourite shots, and we hope you will enjoy them too! Multiple Exposure: Taken with no flash. It was 6.30pm when we took this shot and the sun was setting. Thus, the camera only captured our natural lighting. 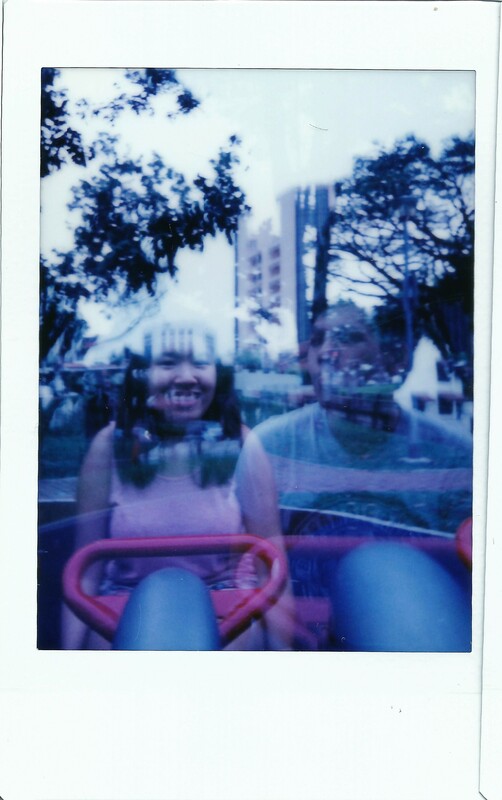 Here is is both of us sitting on a 4-seater see-saw! Sandra framed on the left, and Damian on the right. Multiple Exposure: Beetle car as our background, and us in the foreground! Multiple Exposure: Here’s a picture of some grass on the playground mat, and Sandra on the foreground! We love the effects of the leaves on Sandra’s hair; falling naturally into place. Multiple Exposure: We love this shot! It came close to what we desired (our shadows with nice flowery things inside hehe)! 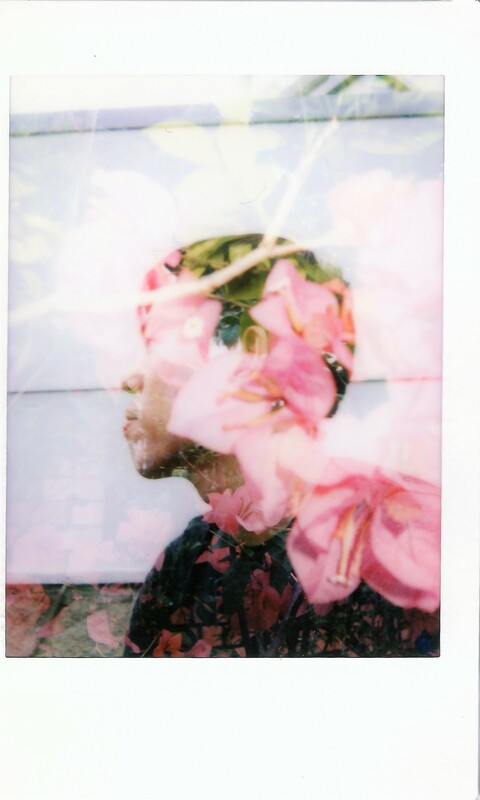 Multiple Exposure: Damian on a sunny day with flowers! Multiple Exposure: We layered two images: one of plants and a bright white wall. Multiple Exposure: Flower over flower. Are the leaves pink too? Multiple Exposure: Do flowers grow on palm trees? Multiple Exposure: Love the shadow and flower effect! Close to the end of the year, one would not be surprised to find booths with white, inflated balloons for anyone to write down their wishes for the new year. All these balloons were collected and ‘dumped’ along the Singapore River, near the Marina Promenade. Sandra drew this mostly while Damian contributed with the words. Indeed, we are looking forward to a jubilant and exciting year for everyone! NB: We will not be uploading any entries this Sunday, but we will resume next week, on 10 Jan! 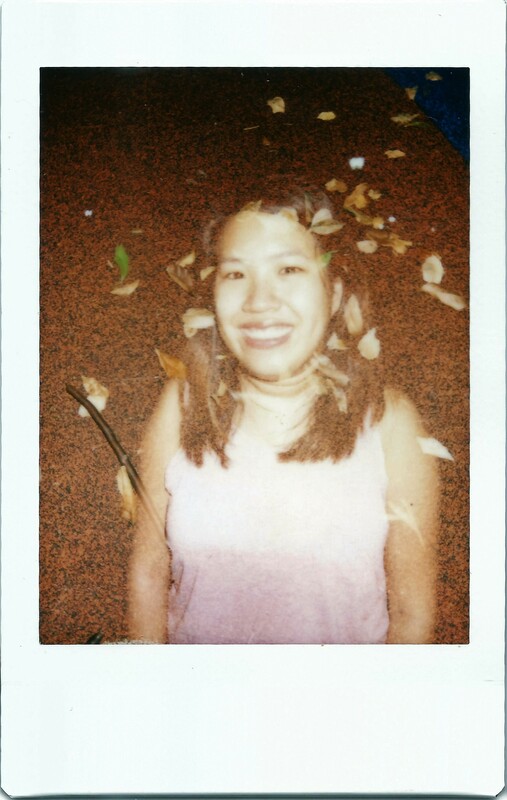 This entry was posted in Fujifilm Instax Films and tagged Park, Singapore. Bookmark the permalink.